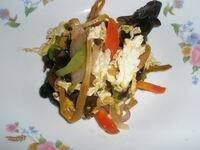 Black fungus is healthy obesity diet food which is called "Meat or fish in vegetables". It's also called wood ear mushroom, wood ear fungus, etc. 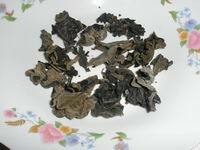 Black fungus nutrition.It contains very high Iron,20 times as celery,7 times as pork liver. Eating regularly will nourish blood,keep countenance beauty, and prevent Iron Deficiency Anemia. Black fungus benefits,it is "scavenger" of digestive system. It can adsorb dust and impurities in digestive system on its special pectin and excrete together. Black fungus reduces blood clot, preventing thrombosis, atherosclerosis and coronary heart disease,and cancer. Black fungus contains rich dietary fibres and a special pectin which can promote motility of stomach and intestine,excreting fat in the intestine, reducing fat intake,and so preventing obesity and help to lose weight. Fresh black fungus is dangerous to eat as it contains poisonous matter. But most of the poisonous mater will disappear after dried under the sun. Black fungus must be fully soaked in warm/cold water till soft before cooking. And you should change several times water during soaking, washing many times till the water is clear. After soaked, black fungus can be cooked into healthy delicious dishes,such as Fungus salad, Stir Fried Fungus with Meat or Vegetables, Moo Shu Pork. You can put it in stewed dishes, soup, etc. Steam Fungus and Jujube(Chinese date) together will enhance the function of supplementing blood. 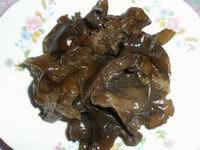 1. a. Marinate black fungus in cold water for 24 hours,remove pedicel,clean and drain well. b. Clean Chinese cabbage,drain well. Cut into 2cm wide strip along long direction. Then cut the strip into 4cm section.Set aside. c. Cut carrot into small slices. 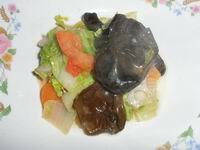 c. Add Chinese cabbage,carrot,and black fungus,stir-fry 5mins. Cover and simmer 5mins,or until 90% cooked. If the material in the wok is dry,you can add some water during cook. But don't add too much water,try 1tbsp one time. d. Add soy sauce and salt to taste,stir several times. e. Add water-cornstarch,stir well,or until thicken. serve. Serve at lunch and/or dinner. 100g per serve. Beneficial Function: Clear intestines and lose weight. Suitable for those who are with Simple Obesity,especially who are also weak and with anaemia. 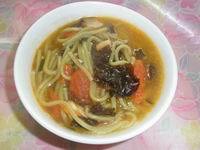 For more Obesity Diet Food- Black Fungus Recipes, Pls subscribe our "Anna'a Nature Regimen and Recipes Newsletter". It's not only about healthy chinese recipes, but it's more about healthy life style : Not sure? take a look at an example of newsletter issue.